Thousands of fast-food and retail workers walked out in cities across the nation on Thursday, including Milwaukee and Madison, in an effort draw attention to the challenges they face and to advocate for higher wages. 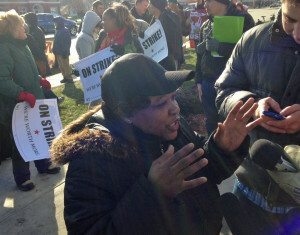 In Madison, workers and supporters rallied outside a Taco Bell restaurant on East Washington Avenue, before going inside and escorting out two employees. 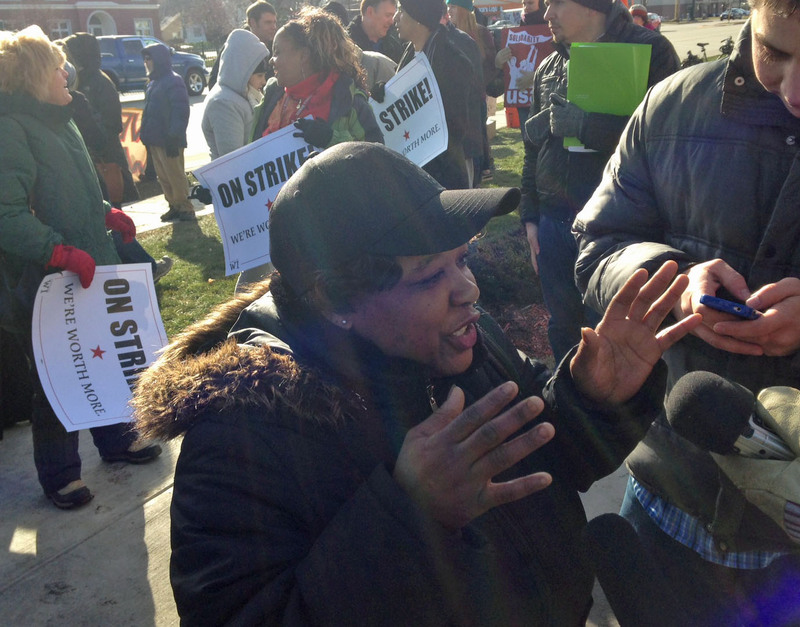 Advocates are calling on the fast-food industry to pay workers $15 an hour, with benefits. “They won’t be requiring the SNAP benefits, they won’t be requiring Section 8 housing, they won’t be dependent on free and reduced lunches for their children, they won’t have to work multiple jobs in order to take care of their family,” said Representative Melissa Sargent (D-Madison), who noted that Republicans have touted their desire to move people from dependence on government programs to independence. Brenda Gomez is a manager at a Madison McDonalds. She makes $10.50 an hour, but works fewer than forty hours a week and pays for her own health insurance. “I still have to struggle. I still have to be on food support, I still have use the food pantries. If I was making $15 an hour I wouldn’t have to be using those government subsidies,” Gomez said.